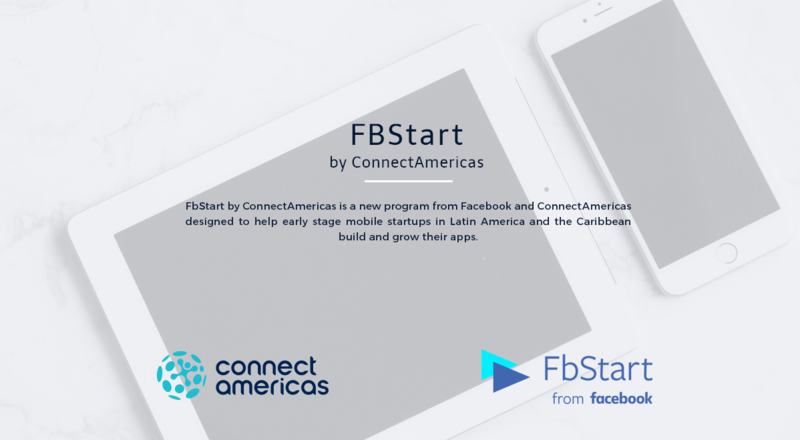 FB Start by ConnectAmericas is a program by Facebook and ConnectAmericas to help startups in mobile tech become successful. We're looking for the mobile tech startups with the most potential in Latin America and the Caribbean. Is your company one of them? Access a package of free tools and services offered by Facebook and over 30 partners, including Facebook Ad Credits, Amazon AWS, MailChimp and UserTesting. Connect with Product Managers, engineers, and operators through events, webinars, email, office hours, and more. Connect with other members of the startup community through our online tools, meetups, and global events. - What do you need to apply? If you are a mobile tech startup in Latin America and the Caribbean, submit your application by December 15th, 2017.